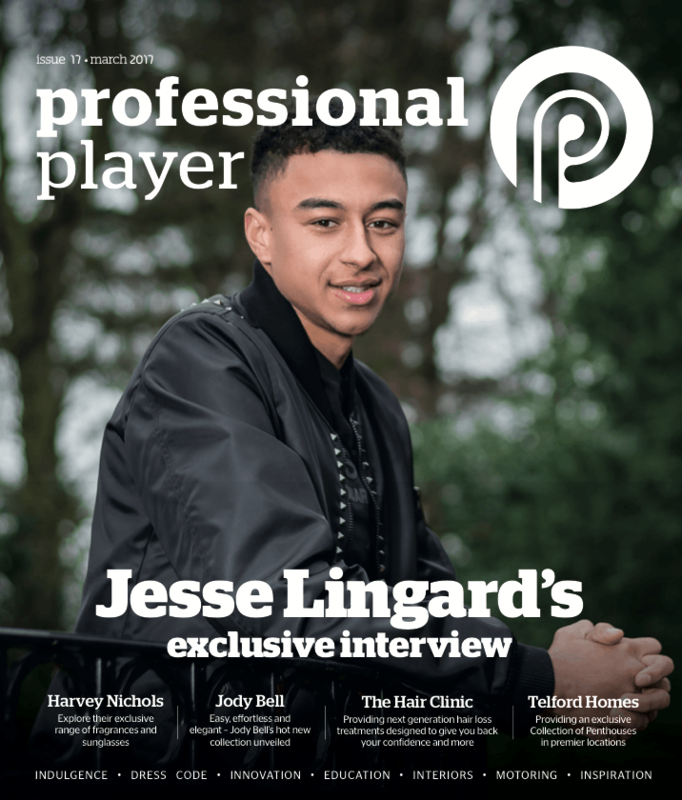 In our spring17 issue we have an exclusive interview with Manchester United player Jesse Lingard. Explore the range of top fragrances and sunglasses from Harvey Nichols, brought to you by our favourite stylist Cleo Lacey. Our top penthouses in the most premier of locations thanks to Telford Homes. The Hair Clinic giving away all their secrets on how to gain confidence when it comes to mens hair styles..